Central Parking System is located across the street. On Saturdays street parking is available. 1, 2, 3,7, N, R, Q, W & Shuttle subway lines to Times Square/42nd Street, and B, D, F & V subway lines to 42nd Street/Bryant Park. We offer an Iron Chef Competition, Hands on Cooking Classes, Wine Tastings and a variety of special events for groups. Office Delivery and off premise Catering is available upon request. We offer full service catering at the location of your choice. 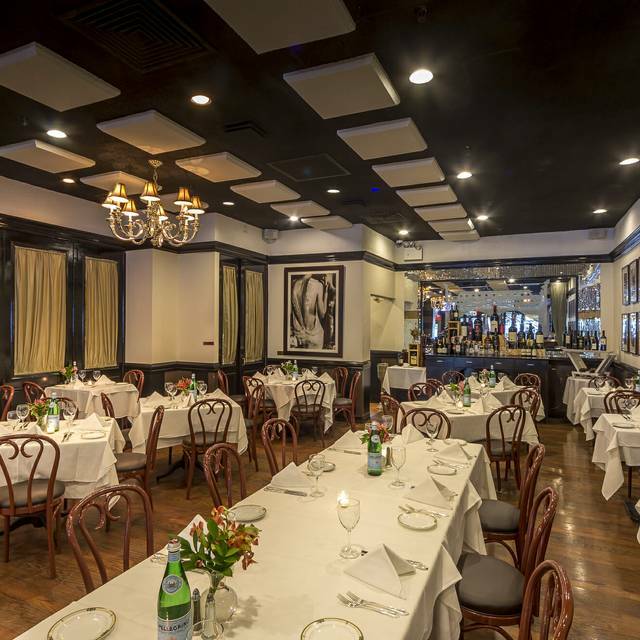 Arno Ristorante serves tasty Northern Italian specialties in the heart of the Garment District. We are only a few blocks from Madison Square Garden and the Theater District. Wonderful old school Italian. Everything was top notch. We were in the city for the weekend. An Italian friend in Brooklyn recommended Arno and we were not disappointed. The food and service were fantastic. Authentic northern italian cuisine. Every waiter I spoke to was from Italy. I would definitely return and recommend it to my friends. Everything was great. Food, service all good. This was our return visit to Arno, this time for dinner prior to an evening at the theater. 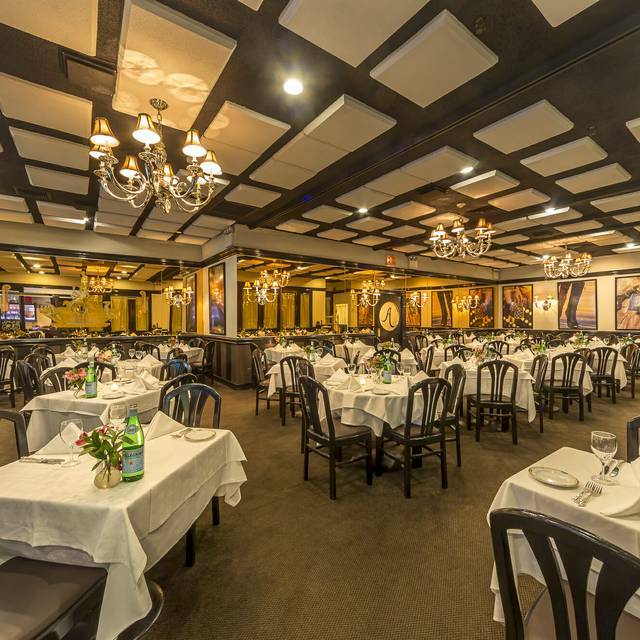 As in the first visit, we were quite pleased with the beautiful, comfortable dining room, prompt service, and tasty, fresh Italian appetizer (proscuit with melon) and seafood risotto main course. 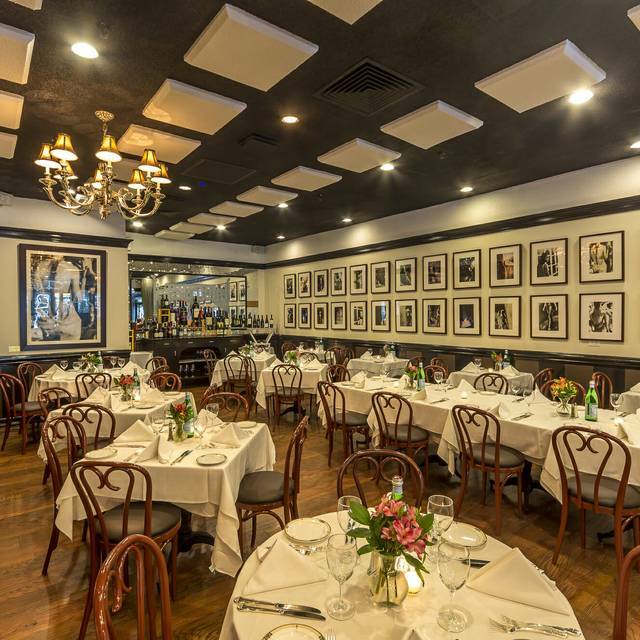 This is our top pick for Italian in Manhattan, and is not overly expensive, although the portions are not overly generous. That leaves room for an excellent dessert tray, and we loved the berry tart. 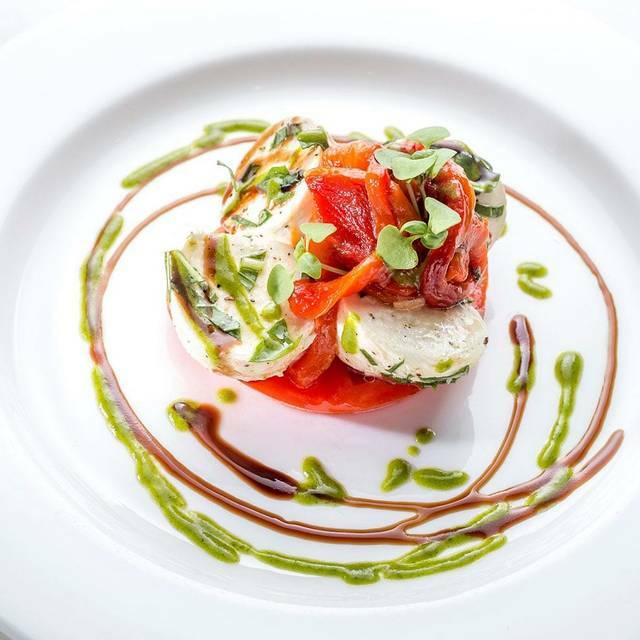 Arno is a berry good choice for the theater or Madison Square Garden, and an easy 10 minute walk from Penn Station. Bon Appetit! 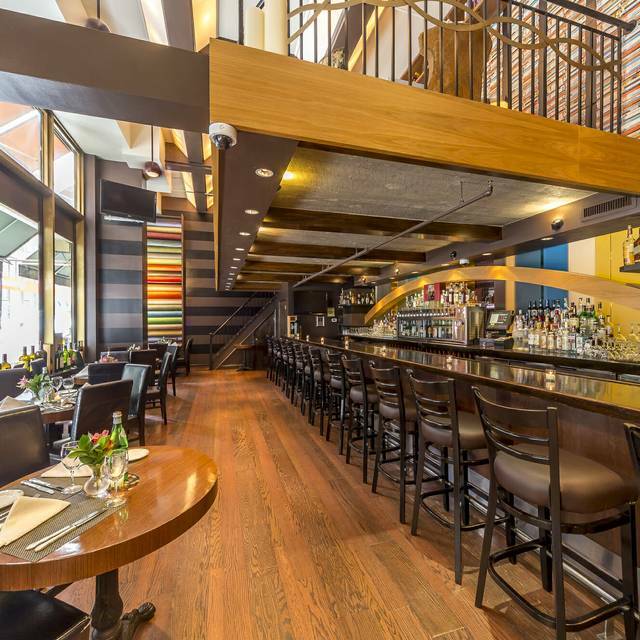 Great food, nice setting, fantastic service, unique menu with great specials and conveniently located right in midtown, a short walk to Penn Station. I would definitely recommend it! The restaurant is in a great location. 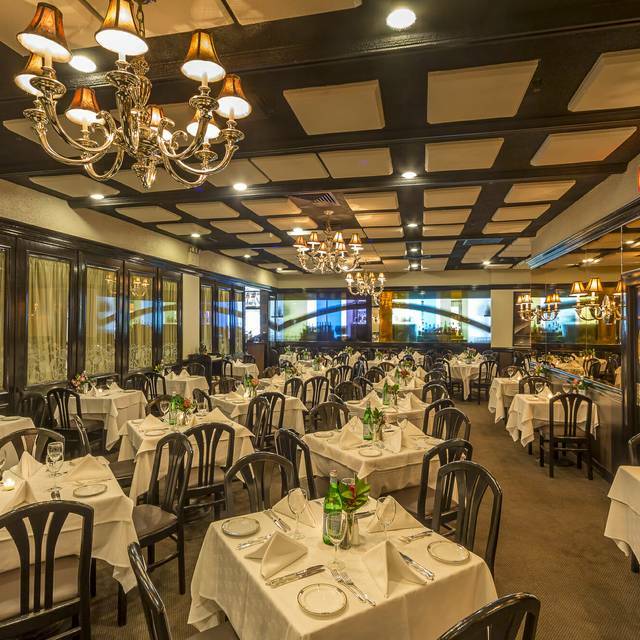 Easily accessible from the theater, Penn Station or Port Authority. I chose Arno because of the location. I really liked the bar area. Nice bartender, good drinks, and fresh chips and nuts. The staff was very nice and very accommodating. The night we were there, there were no specials. I’m not sure if that’s the norm. The food was good, but not memorable. Great dinner, came with coworkers and service was excellent, very attentive! The food was well-prepared and presented. The service was friendly and professional. The crowd was happy and our foursome had no trouble conversing and hearing each other. Our only negative issue was the pricing. The least expensive item was a roasted, half chicken at $25.00. Virtually every entrée was over $30.00. A broiled veal chop was $49.00 and a steak was $58.00. The least expensive wine I can remember was a $40.00 varietal that you can buy for yourself for $13.00. Most were $60++. I understand the usual mark-up policies but they are based on the wholesale price that restaurants pay their suppliers. So, while we enjoyed ourselves, we will not return since NYC has so many choices with the same quality but at more reasonable prices. I really did not like how the food taste. Excellent - can’t wait to come back! The real deal! 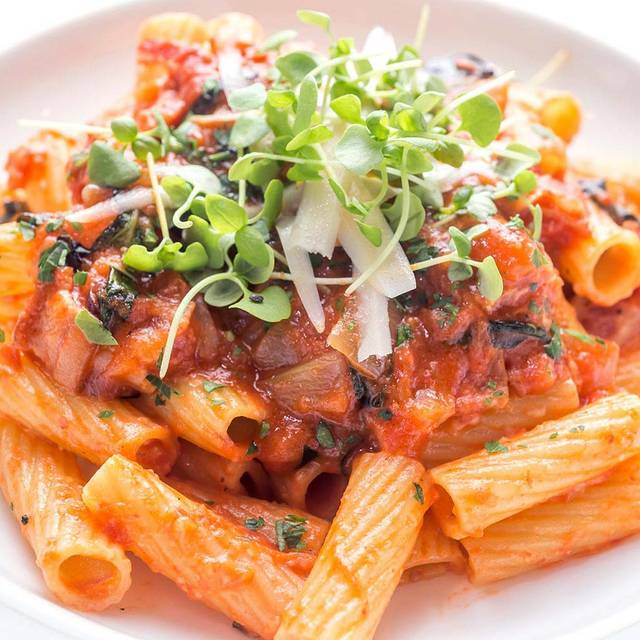 Authentic Italian cuisine and atmosphere!!! Worth a visit! Delicious meal for our group of 9, everyone was happy with their choice. We were a large group but the staff worked with us to serve us - and it was fast too, which suited us fine as we were headed to a Broadway show afterwards. Fake Italian act. Accents are not real. Spanish and Irish waiters acting as if they were Tony Soprano. It’s funny because of how stupid it all is. Ifa you reada thisa review...youa understanda....ohhh! Lovely space with great service from friendly and efficient staff. Pricing consistent with its location. The seafood pasta special was tasty but nothing special and with very limited tiny pieces of seafood that reminded me of Trader Joes frozen mixed seafood - not consistent with the price. Next time I would opt for an actual dish on the menu. My friend’s chicken was lovely. Deserts were decadent. Again the people were excellent. The waiter was nice at first, but didn't come back and we got a new waiter. I ordered wine on the menu and they ran out at 6:15 pm. They bought the wrong dish out for my daughter and when they bought the correct pasta dish it has no taste. My pasta dish was a special and it wasn't so special. The calamari tasted like rubber. So many execellent restaurants in NYC, I would not return. Brilliant, authentic, not trying to be anything it is not. Veal in many forms - each a marvel. Great food (tasty, hot and fast) and very good service. Main dining room a little dated. Loved the bar area will be back for lunch and after work to try out. 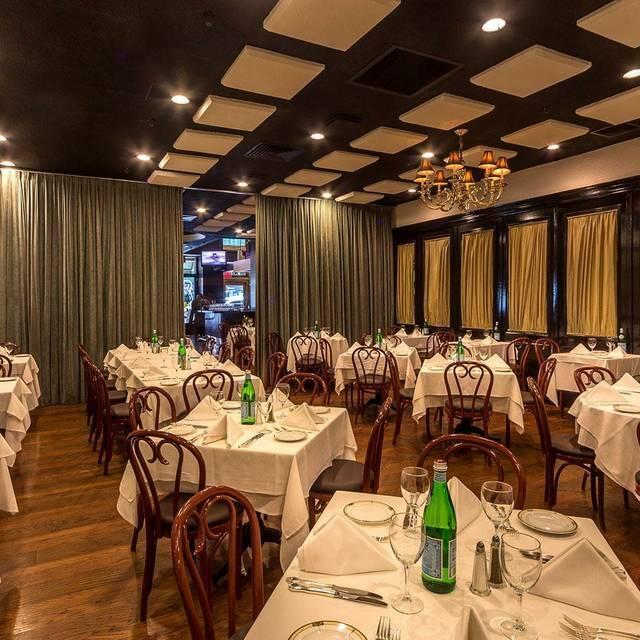 Consistently the best Italian food in the Garment District. Always a great experience. Amazing food. Amazing service. Will come back in a heartbeat. Please open on Sunday’s!! We actually wanted to come back the next day because the food was so amazing but we couldn’t because it was closed! Overall amazing experience! This was our first time here and we were not disappointed. Even though the service sort of evaporated as the time of our meal went by, the food was brought in perfect time and it was delicious. We were received in a very friendly manner by everybody but then as the local and known clientele started to fill out the tables, the attention on us newcomers was more because we called them than they asking us how things went. That is why we give this restaurant 4 (and not 5) stars. Excellent choice and close to MSG. We arrived a bit early for our reservation, and had a seat at the bar. My young grand daughter wanted a shirley temple and was so impressed, that she had another. the surroundings were pleasant, as was our server. the food was delicious and cooked to perfection. Arno's was the perfect spot after a perfect day in NYC. great neighborhood place for good Italian food............I have been there on 3 occasions. The last time - We did arrive at 9:45 pm when their website said they closed at 10 pm- and Opentable said their last reservation was 9:45 - and they would not seat us..............maybe it was a slow night - but that was disappointing. The time we did eat there - the food was good and the service was good - except for one issue. We ordered a very nice bottle of champagne - to have as before and during dinner. Our server failed to tell us it was not chilled........Instead he just kept postponing bringing it out and making excuses til we were 1/2 way thru our meal. Then he told us they were trying to chill it as fast as they could. Had he told us - we would have ordered a different bottle of one they had chilled. That was very irritating as it had been a long day - and I wanted nothing more than a nice glass of chilled champagne. he should have told us up front - given us our options - and at least offered us a glass of wine. The bartender was rude, she served me a scotch in a wine glass. My date asked what kind of white wines and her response was, walked away, placed a drink me u and walked back 2 minutes later asking for it back because they only had one. The waiters are great, friendly and attentive but they didn’t communicate with each other and asked us the same things as the ithers. A little annoying and a little old-school for me. the food was mediocre and very expensive for the portion and the taste. 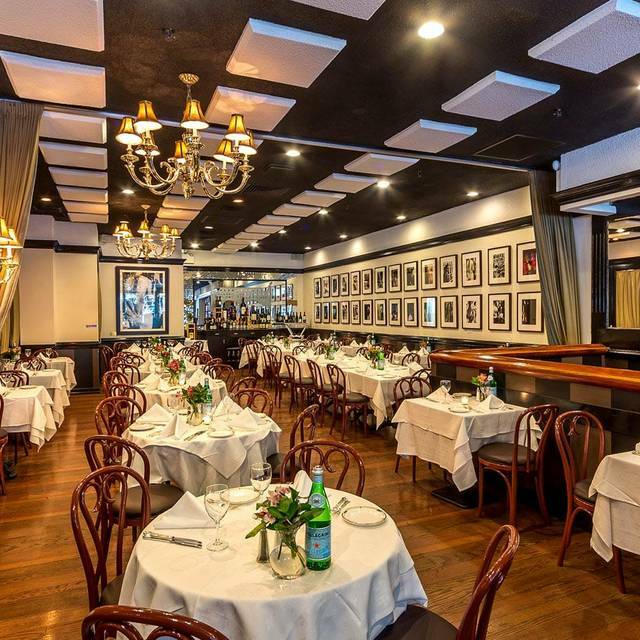 One of our favorite restaurants in NYC! Food and service excellent! Can't complain about cost because they serve good size portions. They get many male customers going to games at Madison Square Garden. High noise level therefore, not a romantic spot. Attractive setting. Had some difficulty understanding the waiters accent. All hosts are always friendly and funny. I do enjoy this restaurant. Our Main Waiter made reference to Making America Great Again, obviously a Trump fan. Very inappropriate. Excellent dining experience!! Would definitely go back!! The food was very good however the desert is far from what is expected for a good Italian restaurant. I had a glass of wine because I was the only one to have it in the group. The price is very high, half of the price of a bottle. In addition they didn’t serve me the type of wine that I asked.